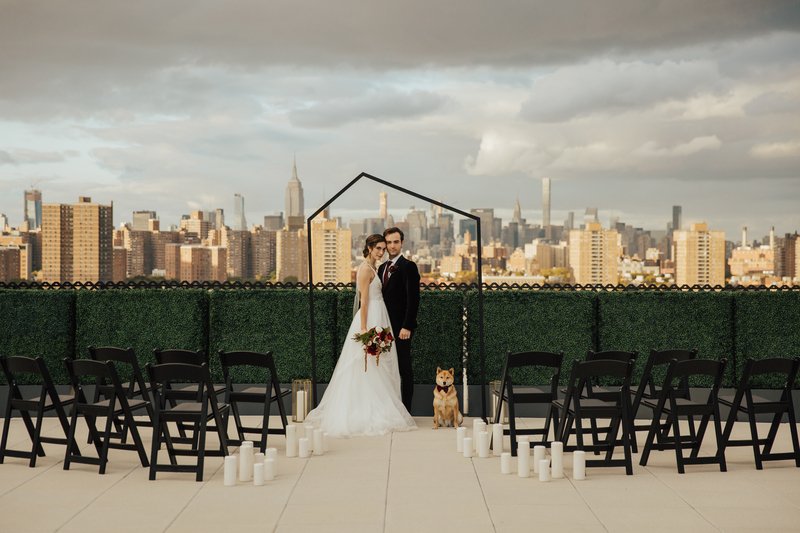 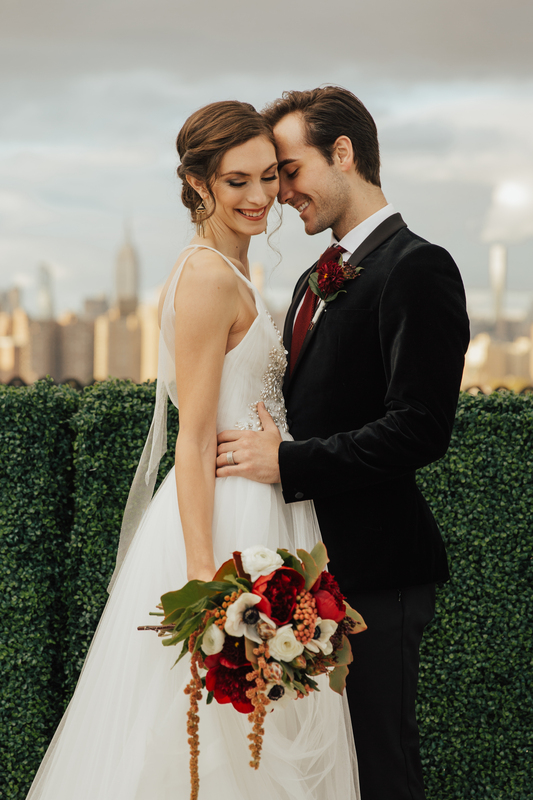 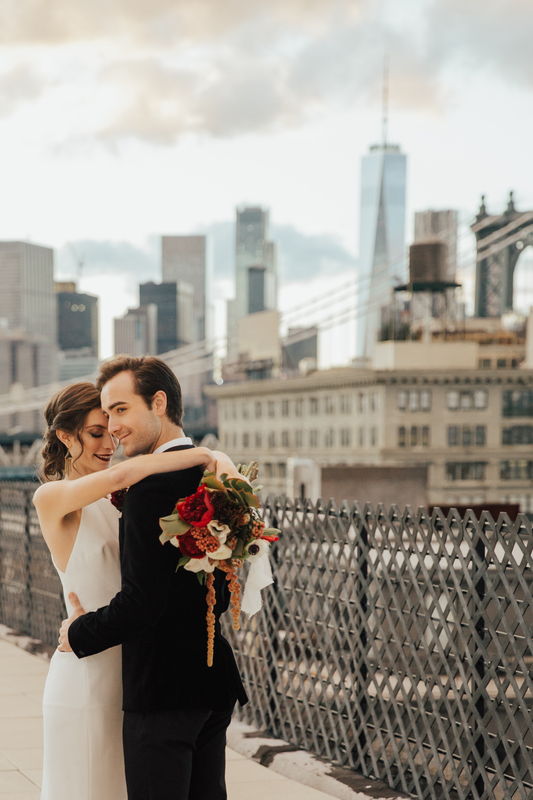 A Brooklyn backdrop, bold shapes, and metallic accents inspired this shoot photographed by Forever Photography. 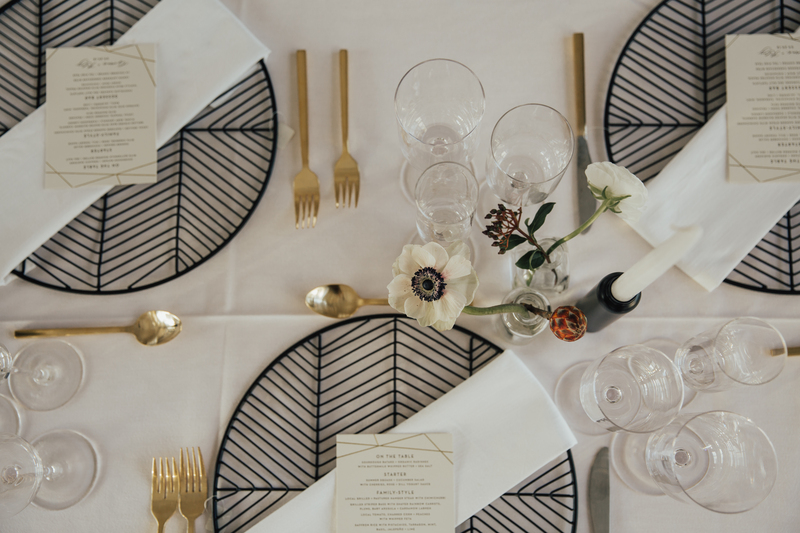 We were excited to spot our Carrara design among these elements of inspiration as well. 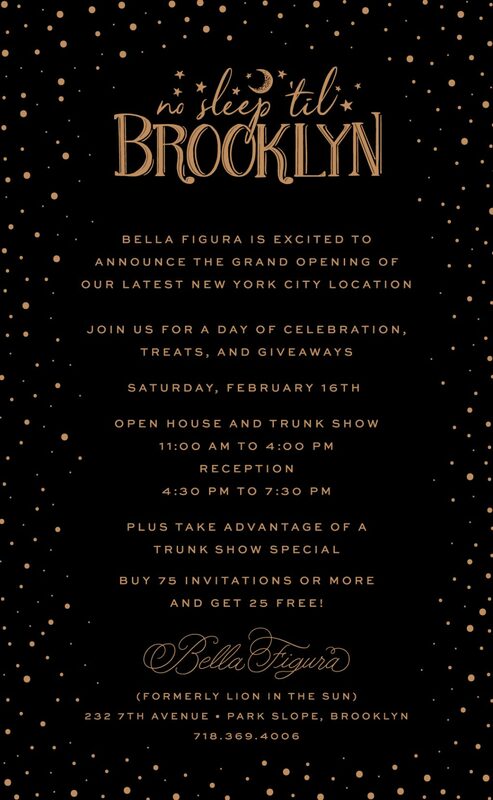 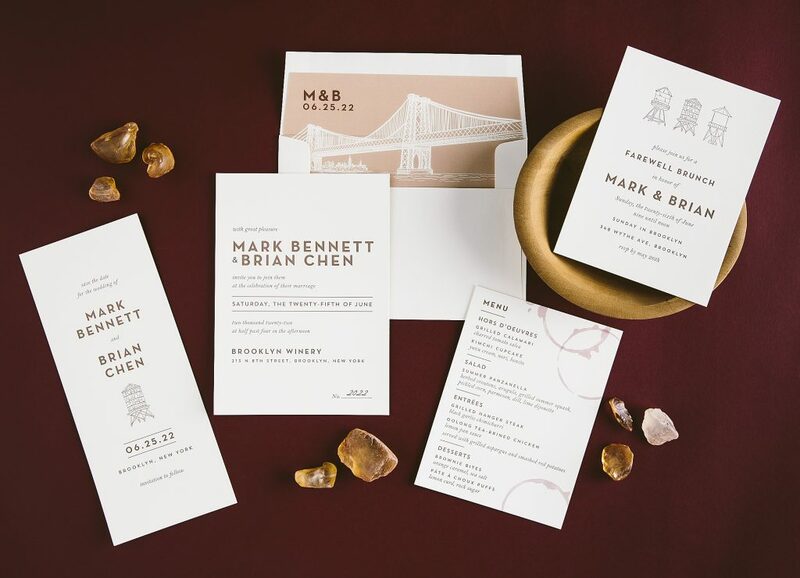 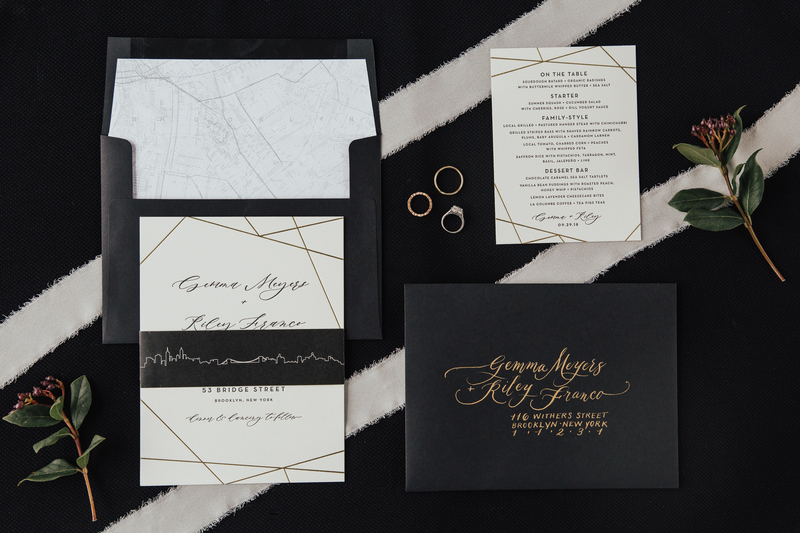 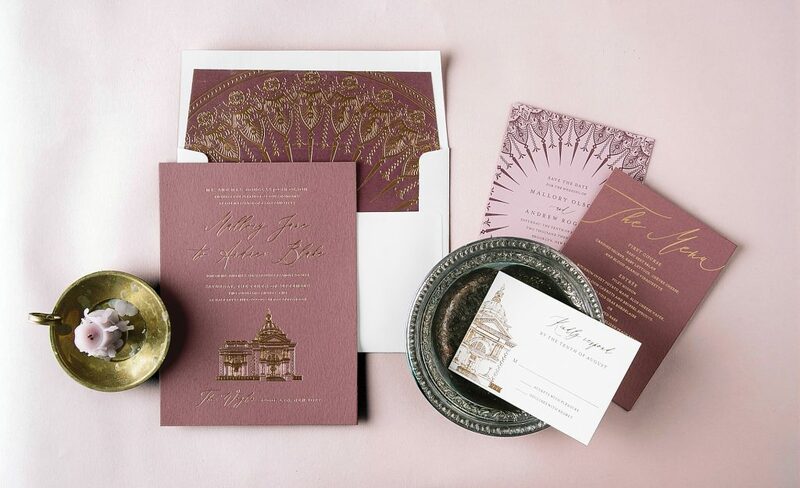 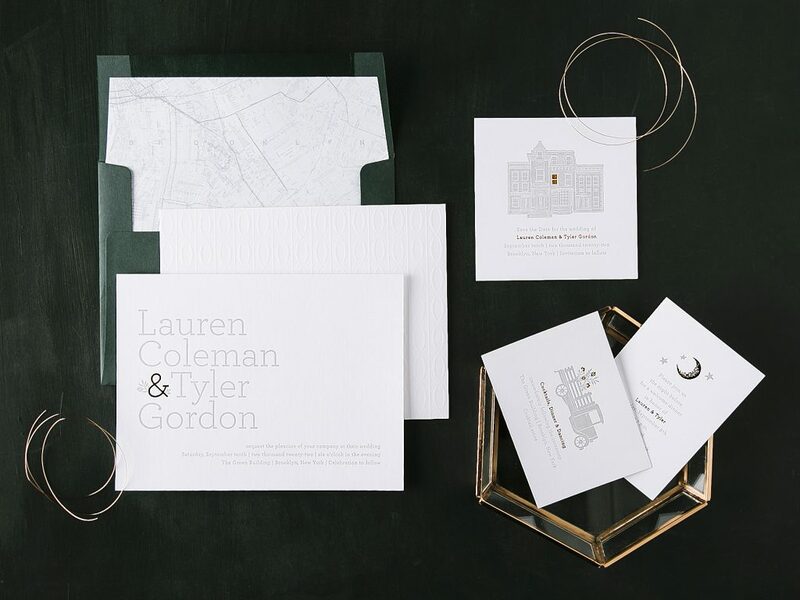 A wedding invitation with geometric flair made with Brooklyn in mind. 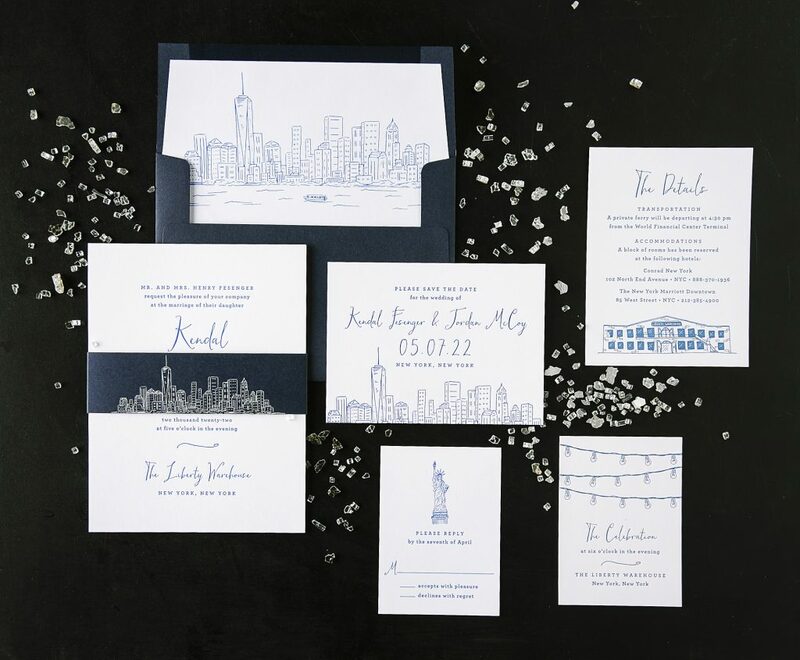 The skyline motif used on the belly-band as well as the vintage map envelope liner added touches of personalization. 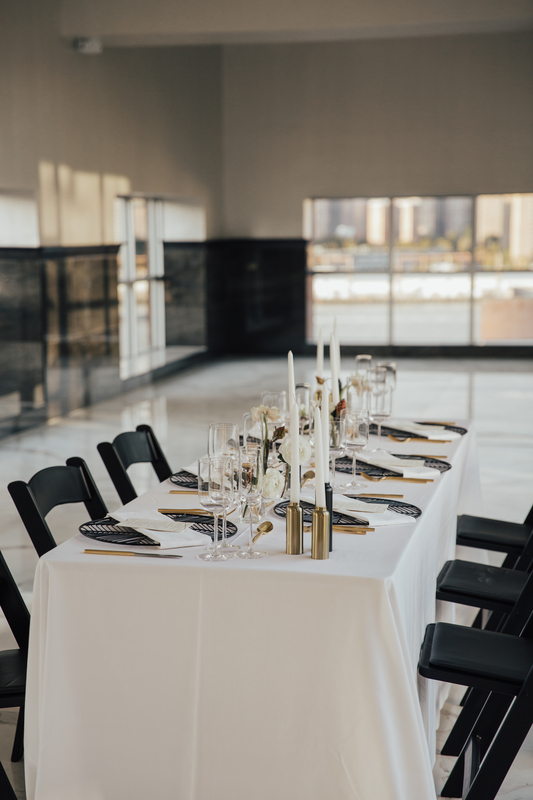 Finally, this styled shoot featured at BK Venues created an intimate yet bold setting for a contemporary Brooklyn affair.